Edo State Deputy Governor, Comrade Phillips Shaibu narrowly escaped death by the whiskers on Sunday as his convoy was involved in an auto crash along the Benin-Agbor expressway. Two persons, the personal assistant to the deputy governor and a police inspector attached to the deputy governor’s security detail were however unlucky as they sustained injuries. Both men are said to be battling for their lives. They are on admission at the University of Benin Teaching Hospital (UBTH) where they were rushed for treatment. 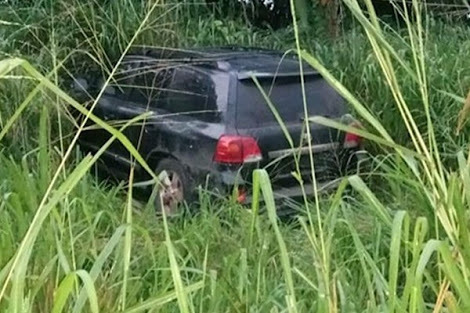 The spare car in the deputy governor’s convoy which was on its way to the Edo state capital from Asaba, Delta state reportedly skidded off the road as the driver attempted to avoid running into a police checkpoint. According to his Chief Press Secretary, Mr Musa Ebhomiana, the accident occurred shortly after Abudu, headquarters of Orhionmwon local government council at a checkpoint mounted by a team of policemen. Ebhomiana who spoke in Benin yesterday explained that the policemen had taken advantage of a bad spot on the busy expressway to mount the checkpoint which resulted in the crash.